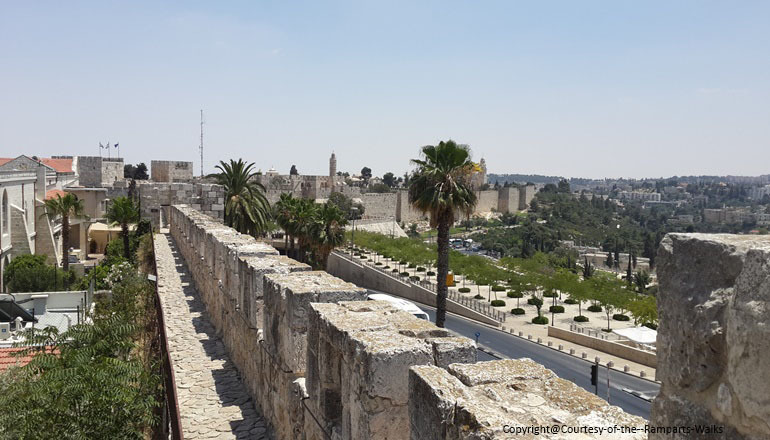 View the city of Jerusalem from atop of the Old City walls via a Ramparts Walk whereby you walk on most of the ancient city’s walls. * The Northern Rampart’s Walk ascends at Jaffa Gate and descends at New Gate, Herod’s Gate or Lion’s Gate. * The Southern Ramparts Walk ascends at Jaffa Gate and descends at Zion Gate or Dung Gate. There is a direct exit from the northern Ramparts Walk to the Roman Plaza and/or Zedekiah’s Cave to streamline the touring and sightseeing experience.